Artez was born in 1988 in Belgrade, Serbia and he earned his degree at the Faculty of Architecture in Belgrade (2013). 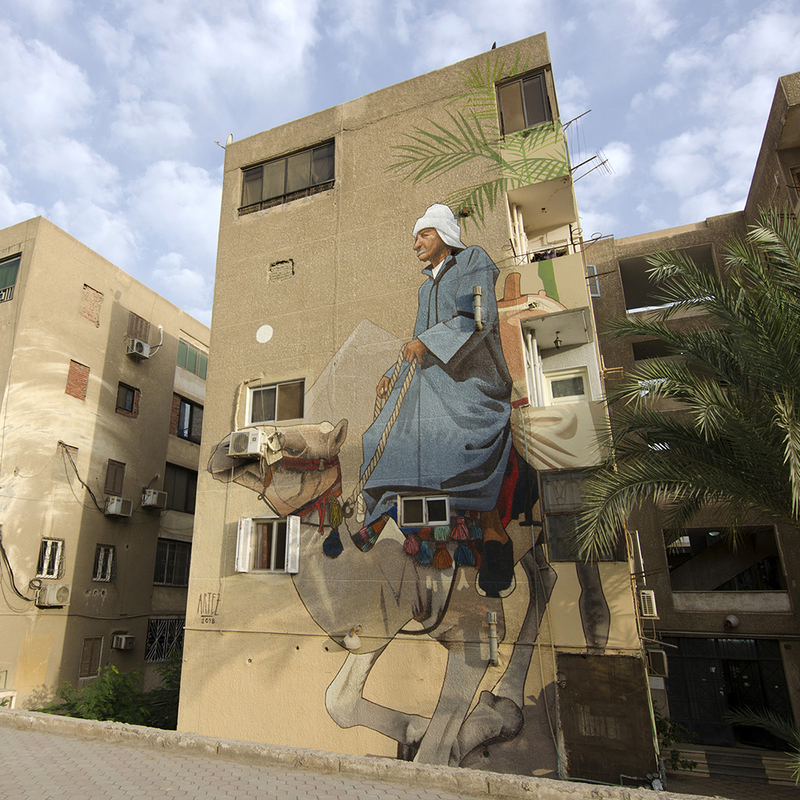 Artez is one of the leading Serbian artists of the third generation that emerged on the local graffiti scene. He is best known as an artist that is mixing photo-realism and illustration with an amazing ability to incorporate vibrant colors in his work. His constant craving for traveling and having the world as his inspiration effected his rapid progress and influenced his style. 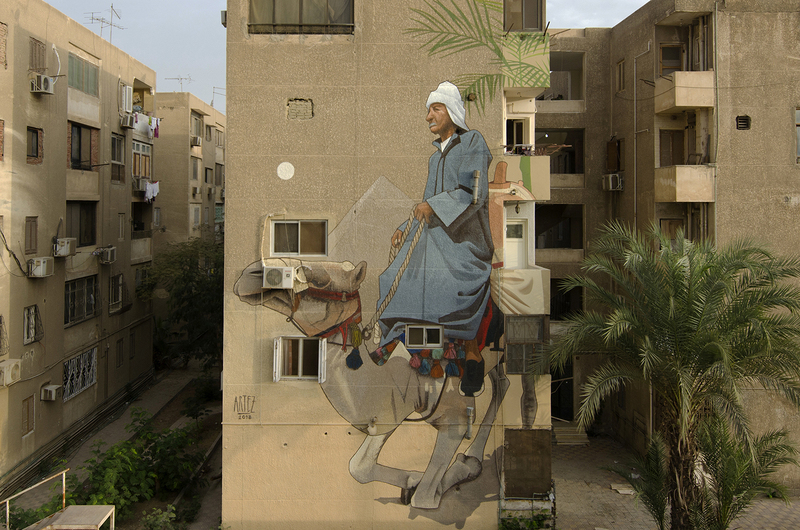 He has been working with 2D and 3D letters, different types, and styles of characters, photorealism, and in the end, he got stuck with the mix of “a little bit from everything”. 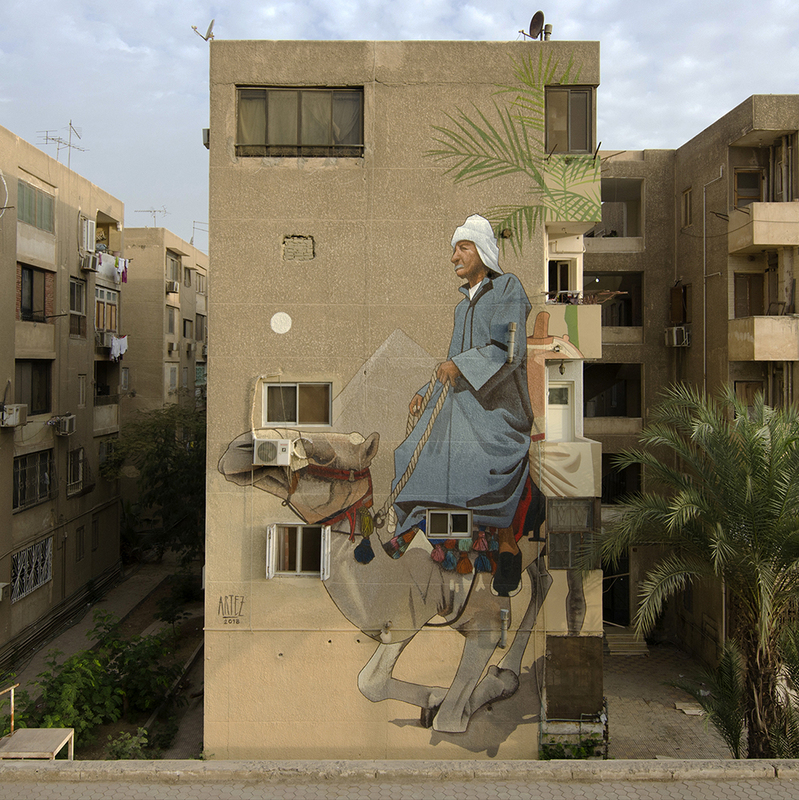 „Sand stories“ mural painted by Artez in Cairo, Egypt, 2018. Veröffentlicht in contemporary art, Drawings, Graffiti, Murals, Paintings, Projects, street art, Uncategorized, urban artBookmark the permalink.